The Saxon 680g Hatchet is compact and well weighted, making it perfect for chopping small logs for kindling. It is made from carbon steel and light weight fibreglass, making it comfortable to use and highly durable. 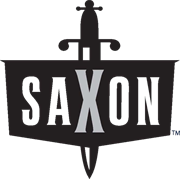 The Saxon hatchet also has a handy hook hole for convenient storage.